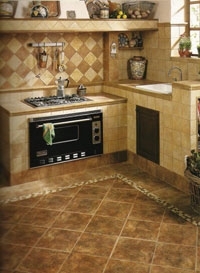 Most tile and grout cleaners rely on water pressure or steam to clean hard surfaces. These floor cleaning methods can be inefficient and, in some cases can actually damage your tile and grout flooring. And don’t forget the best part. Once we’re done making your tile and grout sparkling clean, we can reseal your grout lines. This will keep it clean longer and make your job easier when you clean it.